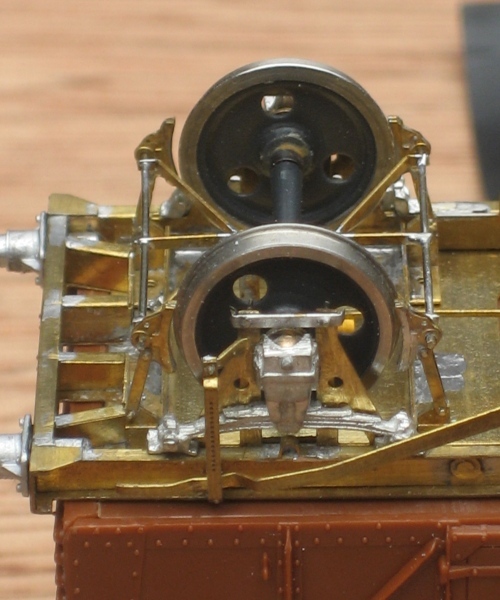 What became the standard BR clasp brake as fitted to most vacuum braked wagons built from around 1957 onwards. For 12T vans, shockvans, palvans, conflats, lowfits, shocopens, etc. For 27T Iron Ore tipplers. For clasp braked 16T minerals. 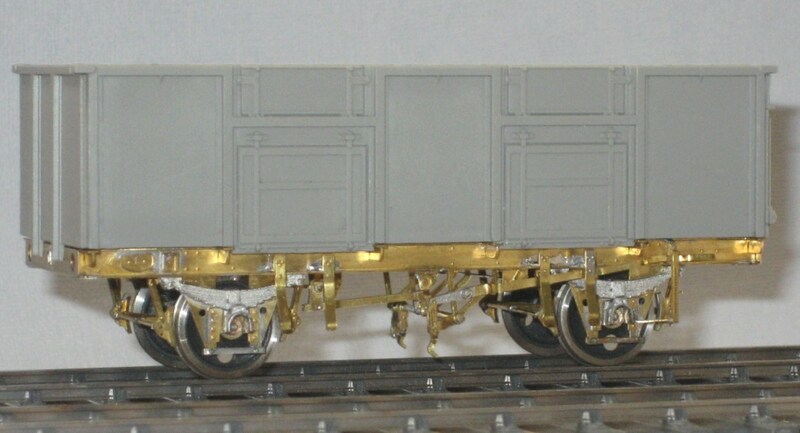 For use with B.04 to produce a chassis for the rare riveted 1/109 clasp braked 16T minerals. Sufficient parts for 1 wagon. For diagram 1/119 clasp braked 21T minerals. The iron ore tipper chassis and 16T mineral chassis are intended for Parkside Dundas bodies, the sand tippler chassis is intended for the Red Panda body and the 21T mineral chassis for the Chivers Finelines body. For diagram 1/434 22T Plates. These were new builds fitted with the BR clasp brake. For diagram 1/430 & 1/431 22T Plates retrofitted with the BR clasp brake. 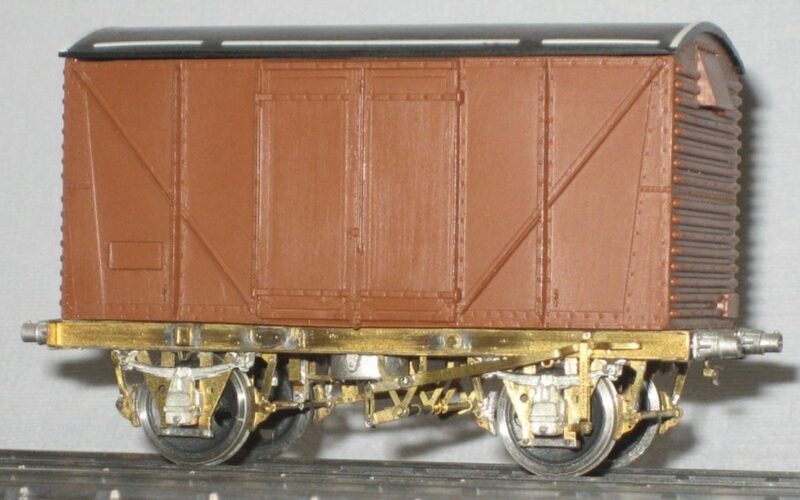 Suitable for use with the Parkside body and are included in the relevant full Plate wagon kits C.21A and C.21B.